PANS and PANDAS are diagnosed based on clinical presentations. Since symptoms overlap with other medical conditions, PANS and PANDAS can be difficult to identify. However, an early diagnosis and prompt treatment can prevent the significant social, emotional and educational toll that the OCD, neurological impairments and personality/behavioral changes have on affected children and their families. There are no tests to definitively diagnose PANS or PANDAS. 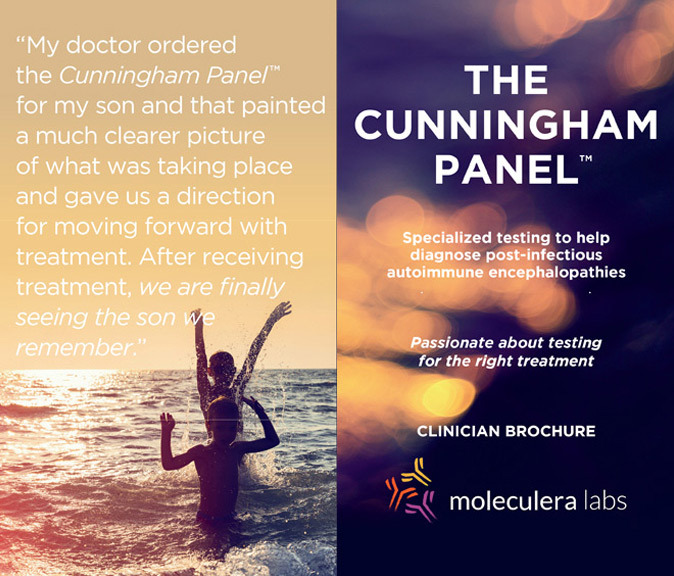 But, the Cunningham Panel™ is the first and only test available that can assist physicians in making a diagnosis. 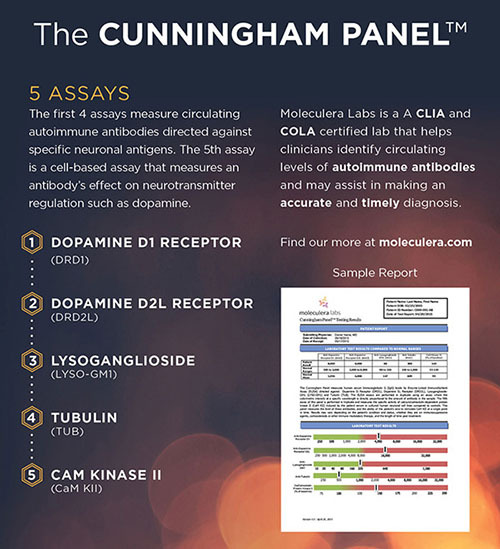 The panel of 5 assays identifies a patient’s specific antibody levels and the antibodies capability to stimulate and trigger neurological symptoms. Tantrums are typically more severe than usual for the child and may be accompanied by bursts of aggression/rage or mood swings. Symptoms are not better explained by a known neurologic or medical disorder, such as Sydenham chorea, systemic lupus erythematosus, Tourette disorder, or others. Unlike PANDAS, PANS has no age limitations. But, typically symptoms begin during a child’s grade-school years. Initial symptoms can also present during adolescence.